This entry was posted on June 17, 2018 at 7:06 pm and is filed under Cynan Jones. You can follow any responses to this entry through the RSS 2.0 feed. You can leave a response, or trackback from your own site. 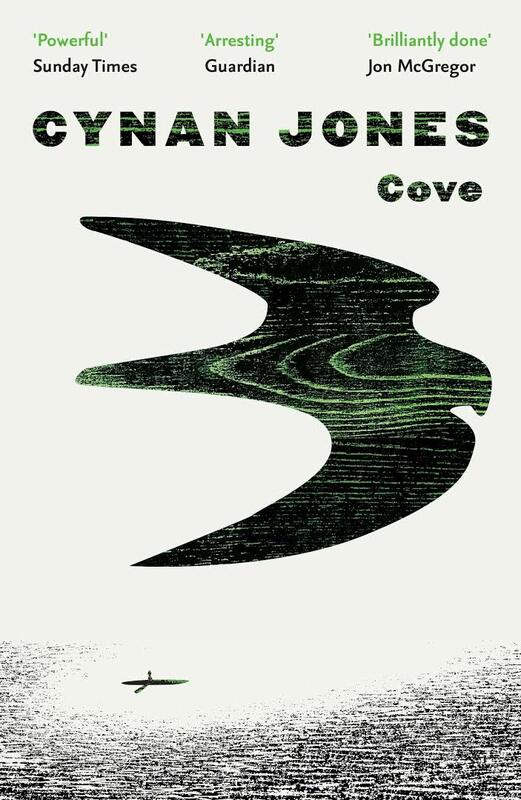 I love Cynan Jones’ work. I’ve read The Dig and The Long Dry and they were both tautly written gems. The Cove sounds like more of the same and it has promptly gone onto my wishlist thanks to your review. This was my first and I certainly intend to read more of his work. Well, this does sound excellent. Funnily enough, he’s actually one of the few contemporary writers of real interest to me right now. A little like Kim, I was very struck by The Dig, which I picked up on a whim at the local library. Have you read it by chance? No, this was my first, though he has been a writer I’ve been interested in reading for a while. The brevity also appealed, though it definitely left an impression far exceeding its pages. I have now read three of Jones’ works – The Dig, The Long Dry, and Cove and thought they were all excellent. There is something quite powerful about his spare writing! Yes, this was very powerful – sometimes on the level of a sentence or phrase. I look forward to reading more of his work. I was expecting him to win the Wales Book of the Year prize last year with this but was surprised when he didn’t get it because I thought it was magnificent. I’ve struggled though to write anything coherent about the book – you managed it way better than I did. Thanks. It was definitely a book worth winning a prize. Tempted to read the winner if it beat Cove! Thanks. I’m looking forward to reading more of his work. I read his The Long Dry recently, I wrote a couple of short paragraphs on it in my February roundup (https://pechorinsjournal.wordpress.com/2018/04/26/february-roundup/). It was very, very good and I bought this upon finishing it. You’re spot on with the prose. Spot on generally in fact. Like Booker I struggled to write anything coherent about Jones. He’s so precise anything I had to say about him seemed flabby in comparison. Yes, a novel so sparse and so exact in its language use is difficult to write about. I can understand why you immediately bought another of his books. It’s either an earlier version of the same story or an excerpt, but I’m not clear which. Thanks. It seems to feature much of the novel, though not the opening which was also published separately as a short story. Interestingly he has added three lines to the end in Cove.